Hola Neon. Have you heard of it? To be perfectly honest, I hadn't until someone brought up the fact that its Velvet Liquid Lipstick has over 90,000 reviews on Ipsy. "Beautiful shade and stays on forever!" "Love Love Love This By Far Favorite." "This color is amazing! I really liked the texture of the liquid lip throughout the day." The consensus seems to be that although it can be drying, the color payoff is incredible and it stays on for a really long time. So I decided to test it out. I've talked about my struggle of finding the right matte lipstick to anyone and everyone who will listen. I found a handful of ones that are great and super hydrating, but the minute I tried this matte lipstick from Hola Neon, I became obsessed. I am now fully on board the matte lip trend train. 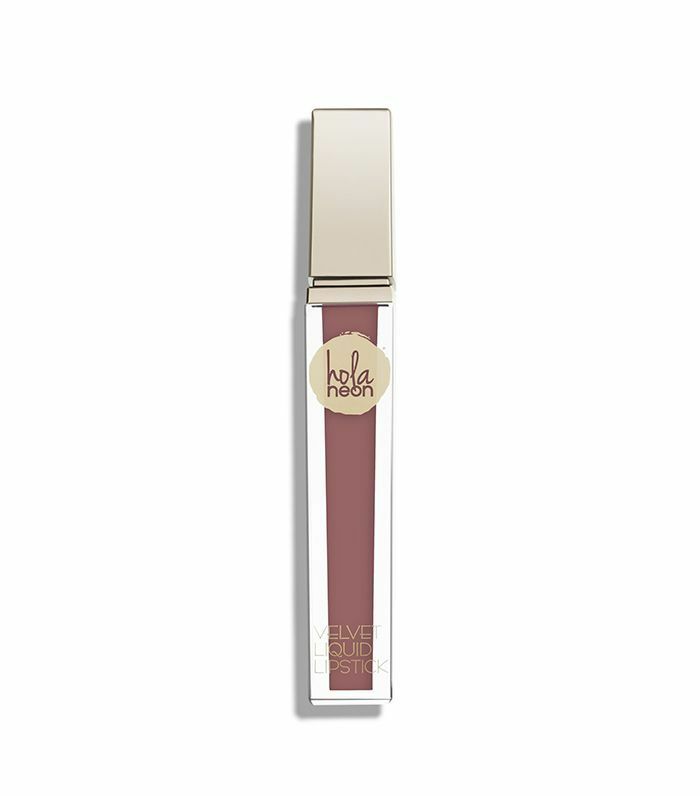 It goes on creamy and instantly dries to its matte finish. The shade DF is the perfect dark pink mauve for everyday wear. But my absolute favorite part is its staying power. The reviews are right on the mark. Once I put it on in the morning, I never had to reapply during the day. It withstood coffee, lunches, dinners, and drinks. Personally, I haven't found it to be drying, and I am constantly putting on lip oil to treat cracked lips. So if you haven't heard of Hola Neon, go check it out. You won't be disappointed.